Introducing: Global Wealth Trade – your next key to success! Hey People! Today’s Feature Friday is a sponsored post by a young entrepreneur I came across on the internet – ever wanted to own your own business but you don’t know where to start? Here’s an idea for you! And if you just want to buy beautiful designer goods this is also something you would want to read more about – let’s get right into it shall we? Shop till you drop is no longer a dream & the best part is you actually get paid for doing it. Now you are probably wondering, how is this possible? 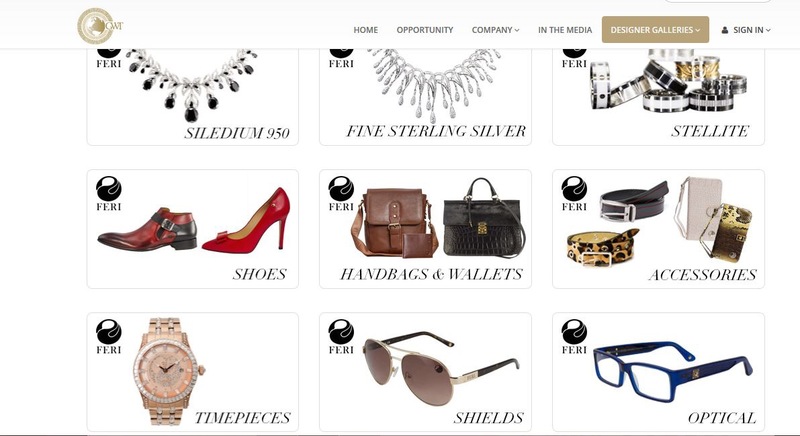 Well it’s possible because with GWT, you are not just a VIP client, you are an owner of your very own individual designer mall & every time someone visits your mall & purchases their favourite Feri, Feri Mosh or Posh collection, your earn up to 100% instant retail profit on all those purchases. Imagine what you can be earning on every special occasion like Mother’s day, valentine’s day, Christmas, anniversaries, birthdays & all other occasions where your clients will visit your mall & purchase their favourite designer goods. Normally, to start a designer business in a mall, you will need to invest tens of millions of dollars but not anymore. GWT has now brought the prestigious designer business & all it’s profitability to home entrepreneurs everywhere; through it’s virtual designer mall. You are now able to launch your very own unique virtual designer mall (VDM) pre-loaded with tens of millions of dollars of the hottest luxury goods & jewellery right from the comfort of your own home. A multilingual state of the art system, complete with a shopping cart & credit card processing system that is fully maintained & updated without much cost to you. Well it sounds incredible because it is, especially when you can launch this multi-million dollar business today for as low as $169 Canadian Dollars. 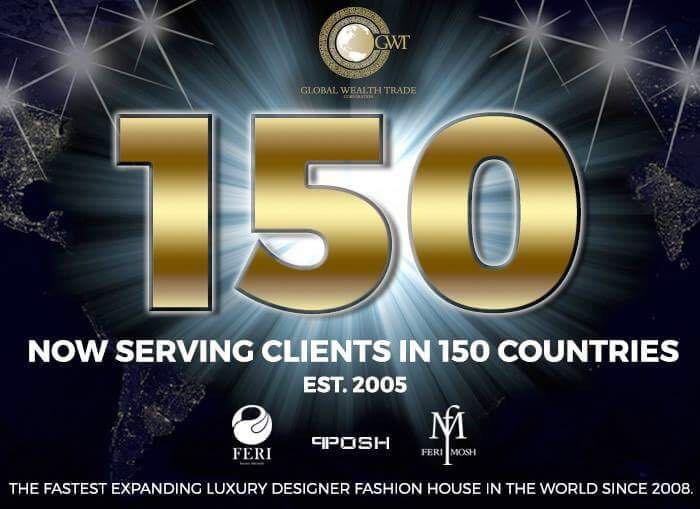 Though it may be hard to believe, since 2005 tens of thousands of people just like you have become a GWT luxury consultant by launching their very own designer mall in over 95 countries around the globe. Love rewards programmes? Well GWT is the clear leader offering its exclusive VIP members a club which offers the world’s most premium rewards programs. Not only does this VIP club offer your clients exclusive access to the celebrities designer lines, they will receive up to 10% rebate on every purchase they make from your VDM. So it’s a win-win program. You will earn up to 100% retail profits on all purchases & your clients will receive shopping credits directly from the company to use towards their future purchases. This ensures that your clients will come back to your VDM on every occasion & generate repeat sales & profits. The VIP club is free & is pre-loaded with a bonus shopping credit ($300) to use towards their first purchase. So why not log in right now & activate your free VIP account & experience our VDM for yourself. Promoting the world’s hottest VIP club & reward programme is easy & fun. Just share your VDM & you will attract clients from all over the world. Like internet marketing, making profit is as simple as an online branding party. All sales are charged by your ATM card & automatically shipped by GWT to your clients anywhere in the world. They handle all collections, warranties & client care. All you have to do is promote your VDM & its world class designer line. And now, the best part, the residual income. Earning up to a 100% instant retail profit on your personal sales is great & offers immediate cash flow but that’s just the beginning. 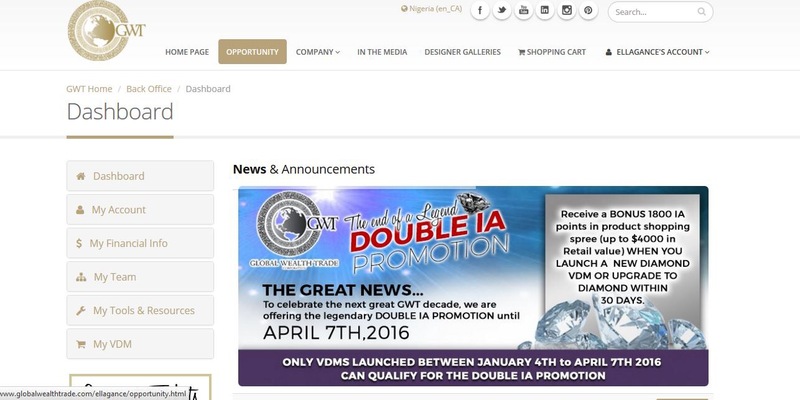 You will also earn up to 8% of the total sales on all VDM’s on your team worldwide. The profit still doesn’t stops there, when the luxury consultants in your team help others launch their new VDM’s, you will receive up to 8% on those entire sales globally & perpetually. Imagine the millions of dollars in sales that can take place from thousands of VDM’s on your team, paying you up to 8% on all sales. GWT’s revolutionary VDM opportunity is limitless. 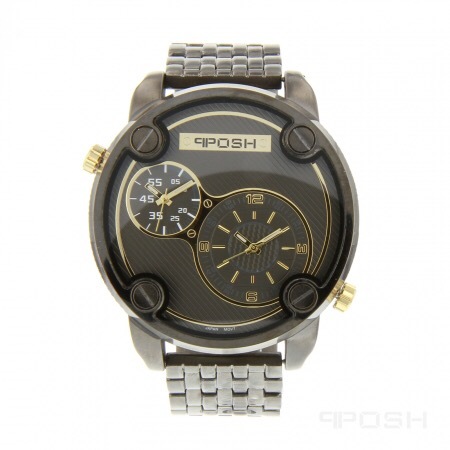 It provides you with products that are globally accepted & do not require government approvals in any country. This unique advantage has enabled GWT to become the world’s fastest expanding home business opportunity. Whether be in any part of the world, you can launch your VDM in any country & start earning residual income on all sales. Is it time to build your legacy? Then it’s time for you to launch your very own GWT VDM. You can operate your VDM part time or full time & start earning from the moment you launch your very own GWT VDM. Please watch these two (2) short videos to understand the opportunity better. Next ArticleDJ Holoskey's new mixtape - Wagbayi Vol 2 has dropped!! This is really a good opportunity of earning extra pay.